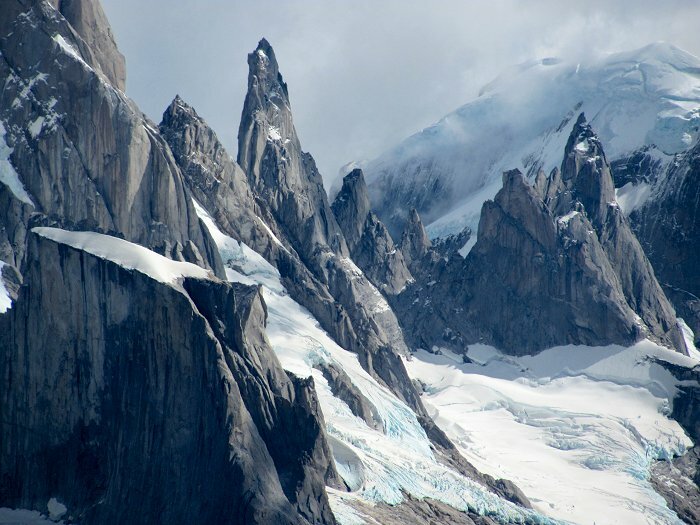 A close-up view of some of the spires that make up the Fitzroy massif. The tall spire just to the left of center is Bifida. the "flat," snow-topped summit at the left of the image is called "Mocho," the headless one.